This volume examines specific contexts around the world in which discourse operates in the service of war or to build alternative visions of peace. Contributors, who have backgrounds in linguistics, anthropology, rhetoric, and communication studies, draw upon discourse analytic and ethnographic methods to examine the discourse used by politicians and social actors in societies across the globe, including the United States, Canada, the United Kingdom, Morocco, Ireland, the Palestinian territories, and Japan. 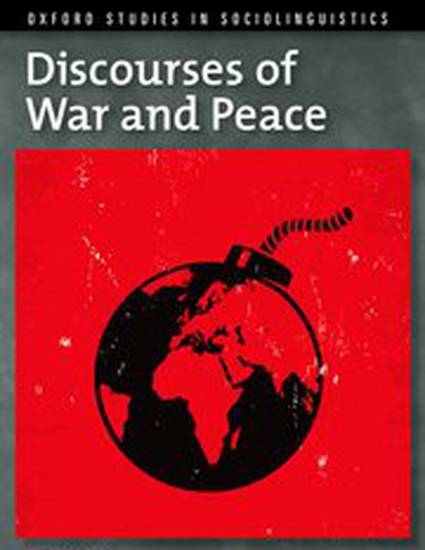 The book is divided into four sections that foreground the political effects of discourse on issues of war and peace, including the way discourse is harnessed to justify war (part I), negotiate military deployment (part II), respond to armed conflict (part III), and promote peace (part IV).